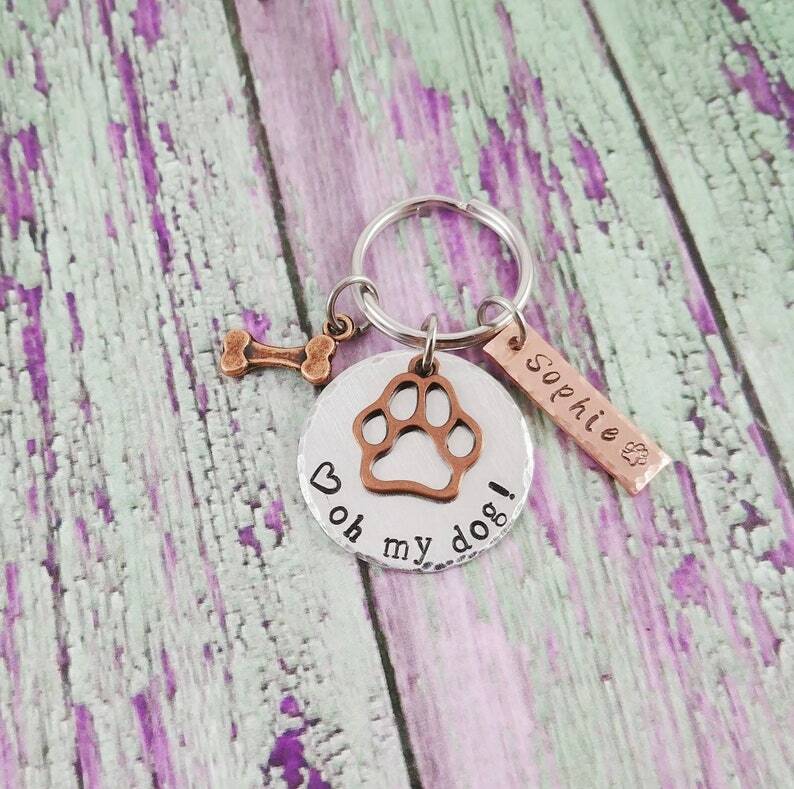 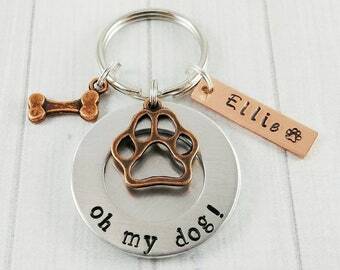 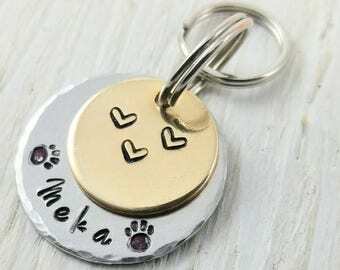 Look at this unique and cute personalized Dog lover gift - a custom dog keychain that says "Oh my dog" on the tag. 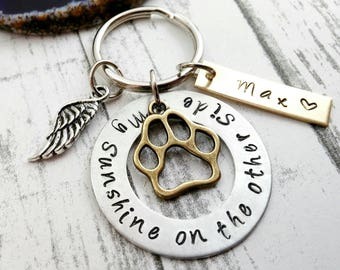 Surprise your friend or family with this lovely piece, under $20! 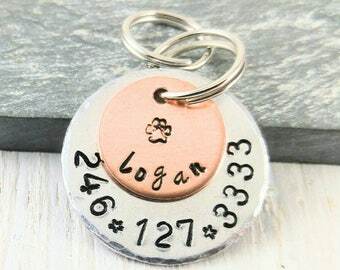 -Your custom name goes on the name tag that says "Sophie"
Please state the pet's name in the 'notes' message box on the checkout page. 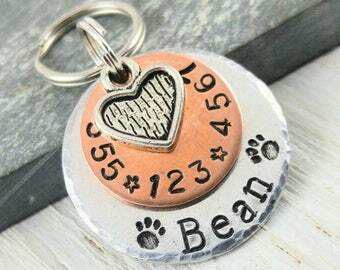 I will get this info with your order. 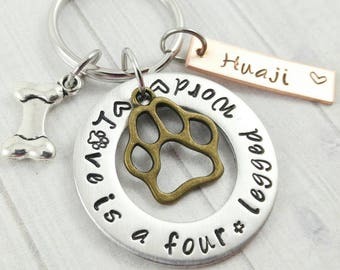 I added a lovely copper tone bone charm to complete the keychain. 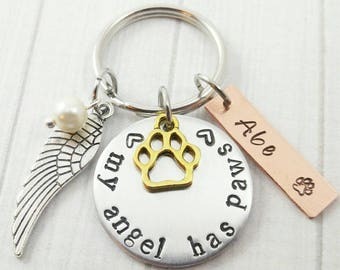 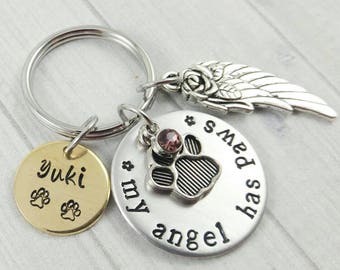 Please choose your preferred paw charm color and the amount of name tags you like in the drop down menu.